Experience with the treatment administered to members of Jehovah’s Witnesses religion, who reject transfusions of blood and blood products, helped to demonstrate that the human organism has a high tolerance to normovolemic anemia and often the adoption of a strict protocol for various medical and surgical treatments, you can avoid the need for blood transfusions in a substantial number of patients. The benefits of these protocols are not restricted to the economic sphere. Instead, extend the incidence and severity of complications and hospital mortality. Nowadays there are patients with surgical teams discuss the possibility of avoiding the use of donor blood in their treatment based on religious or based on the best knowledge of the risks and implications associated with the transfusion of stored blood. We are all watching the birth of a new medical-surgical specialty that, at least temporarily, is known as “bloodless medicine and surgery”, to refer to any medical or surgical treatment performed without the use of blood donors, the use of blood collected from individual, known as autotransfusion, meets the needs of red blood cells of patients under treatment. 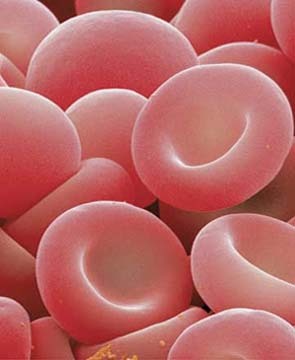 In addition to the complications of blood transfusion or its by-products, a number of causes other evidence before administering a transfusion, all alternative resources available to be tempted. Often, you can eliminate the need for transfusion, the use of an alternative approach if there is sufficient circulating red blood cells to carry oxygen to tissues. Table 1 lists the key factors that indicate the need to avoid blood transfusions. I am against blood transfusions. Thats why I support any viable alternative to a blood transfusion.